August 8, 2018 – The Professional Animal Certification Care Council (PACCC) today announced that Gray Moore, CPACM, has joined the council’s board of directors. Moore was among the first to achieve PACCC’s level of Certified Professional Animal Care Manager (CPACM). 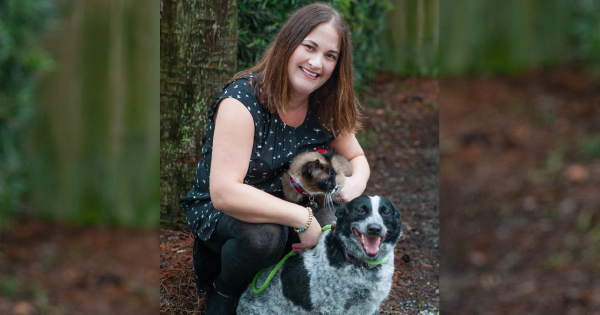 As the president and founder of Dog Tired Services, her pet care facility in Charleston, South Carolina, Moore fosters a culture of pet safety and certification. Currently, three additional members of her staff are PACCC certified. PACCC recently completed its sixth cycle of testing and will offer one more opportunity this fall for pet care professionals to become certified in 2018. PACCC was founded by industry leaders to bring independent certification to the pet care services industry, an important step for a rapidly growing, easy to enter industry frequently damaged by news reports of serious pet accidents and deaths. PACCC offered its first certification exams in late 2016 and has already surpassed 100 certified professionals. Sitting for the PACCC exams requires an application process establishing level of education, work experience in the pet care industry, and supporting letters of reference. PACCC offers three levels of certification, Certified Professional Animal Care Provider (CPACP), Manager (CPACM), and Operator (CPACO). For more information on PACCC including the next opportunity for pet care professionals to become certified, the levels of certification offered, and current directory of pet care professionals, visit www.paccert.org.